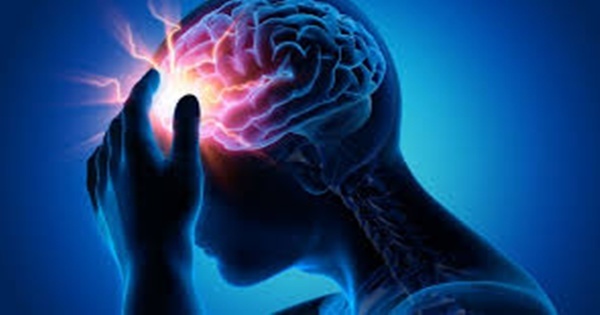 Signs and symptoms of a stroke may include an inability to move or feel on one side of the body, problems understanding or speaking, feeling like the world is spinning, or loss of vision to one side. Signs and symptoms often appear soon after the stroke has occurred. If symptoms last less than one or two hours it is known as a transient ischemic attack (TIA) or mini-stroke. A hemorrhagic stroke may also be associated with a severe headache. The symptoms of a stroke can be permanent. ischemic : where the blood supply is stopped because of blood clots accounting for 85% of all cases. hemorrhagic : where a weakened blood vessel supplying the brain bursts where the blood supply to the brain is temporarily interrupted. Transient ischemic attack (TIA): where the blood supply to the brain is temporarily interrupted. This causes what’s known as a mini-stroke, often lasting between a few minutes and several hours. TIAs should be treated urgently, as they’re often a warning sign you’re at risk of having a full stroke in the near future. Seek medical advice as soon as possible, even if your symptoms resolve. 4. Cigarette smoking or exposure to secondhand smoke. High blood pressure — the risk of stroke begins to increase at blood pressure readings higher than 140/90 millimeters of mercury (mm Hg). Your doctor will help you decide on a target blood pressure based on your age, whether you have diabetes and other factors. Obstructive sleep apnea — a sleep disorder in which the oxygen level intermittently drops during the night. 1. Trouble with speaking and understanding. You may experience confusion. You may slur your words or have difficulty understanding speech. 2. Paralysis or numbness of the face, arm or leg. You may develop sudden numbness, weakness or paralysis in your face, arm or leg, especially on one side of your body. 3. Trouble with seeing in one or both eyes. You may suddenly have blurred or blackened vision in one or both eyes, and you may see double. 4. Headache. A sudden, severe headache, which may be accompanied by vomiting, dizziness or altered consciousness, may indicate you’re having a stroke. 5. Trouble with walking. You may stumble or experience sudden dizziness, loss of balance or loss of coordination. Don’t wait to see if symptoms go away. Every minute counts. The longer a stroke goes untreated, the greater the potential for brain damage and disability. Difficulty talking or swallowing. A stroke may cause you to have less control over the way the muscles in your mouth and throat move, making it difficult for you to talk clearly, swallow or eat. You also may have difficulty with language, including speaking or understanding speech, reading or writing. Therapy with a speech and language pathologist may help. As with any brain injury, the success of treating these complications will vary from person to person. Knowing your stroke risk factors, following your doctor’s recommendations and adopting a healthy lifestyle are the best steps you can follow. If you’ve had a stroke or a transient ischemic attack (TIA), these measures may help you avoid this critical ailment. The follow-up care you receive in the hospital and afterward may play a role as well. Controlling high blood pressure (hypertension). One of the most important things you can do to reduce your stroke risk is to keep your blood pressure under control. If you’ve had a stroke, lowering your blood pressure can help prevent a subsequent transient ischemic attack or stroke. Exercising, managing stress, maintaining a healthy weight, and limiting the amount of sodium and alcohol you eat and drink are all ways to keep high blood pressure in check.. In addition to recommending lifestyle changes, your doctor may prescribe medications to treat high blood pressure. Lowering the amount of high cholesterol and saturated fat in your diet. Eating less cholesterol and fat, especially saturated fat and Trans fats, may reduce the fatty deposits (plaques) in your arteries. If you can’t control your cholesterol through dietary changes alone, your doctor may prescribe a cholesterol-lowering medication. Maintaining a healthy weight. Being overweight contributes to other stroke risk factors, such as high blood pressure, cardiovascular disease and diabetes. Weight loss of as little as 10 pounds may lower your blood pressure and improve your cholesterol levels. Eating a diet rich in fruits and vegetables. Include a diet containing five or more daily servings of fruits or vegetables. Following the Mediterranean diet, which emphasizes olive oil, fruit, nuts, vegetables and whole grains, may be helpful. Exercising regularly. 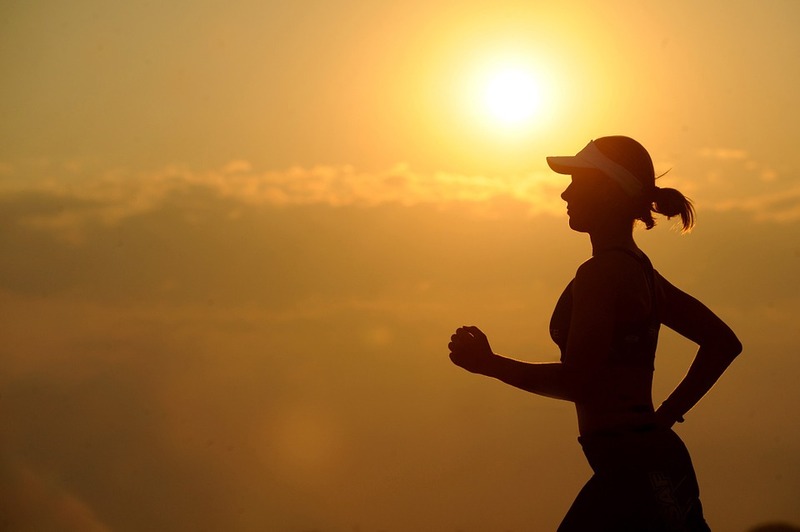 Aerobic or “cardio” exercise reduces your risk of stroke in many ways. Exercise can lower your blood pressure, increase your level of high-density lipoprotein cholesterol, and improve the overall health of your blood vessels and heart. It also helps you lose weight, control diabetes and reduce stress. Gradually work up to 30 minutes of activity — such as walking, jogging, swimming or bicycling — on most, if not all, days of the week. Drinking alcohol in moderation, if at all. Alcohol can be both a risk factor and a protective measure. Heavy alcohol consumption increases your risk of high blood pressure, ischemic strokes and hemorrhagic strokes. However, drinking small to moderate amounts of alcohol, such as one drink a day, may help prevent ischemic stroke and decrease your blood’s clotting tendency. Alcohol may also interact with other drugs you’re taking. Talk to your doctor about what’s appropriate for you. Treating obstructive sleep apnea, if present. Your doctor may recommend an overnight oxygen assessment to screen for obstructive sleep apnea (OSA). If OSA is detected, it may be treated by giving you oxygen at night or having you wear a small device in your mouth. If you’ve had an ischemic stroke or TIA, your doctor may recommend certain medications to help reduce your risk of having another stroke. Dr. Das Partha Sakha is an MD in Internal medicine and a Cert. Diabetician. Everything You Need to Know about Diabetic Neuropathy Diabetic Kidney Disease: What Causes It and How to Manage It? All You Need to Know About Diabetes, its Symptoms, Diagnosis, Prevention and Management Health Is Lower Back Pain Troubling You? Alleviate It with These Exercises! Should Women Workout the Same Way as Men?